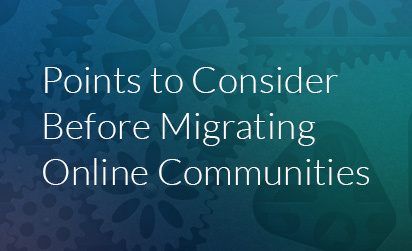 Online Community is the epicenter of customer engagement. As a community manager, increasing engagement and providing self-service is your ultimate business objective. But customer behavior is ever-evolving and customers nowadays want independence. Let your members know they are heard and respected. An IDC study has shown a five-year return on investment (ROI) of 404% for DMS implementation. However, managing a DMS isn’t easy because you generally face issues with publishing, storing, organizing, securing, and accessing documents in the knowledge base. A sound DMS integration enables anywhere-anytime access, facilitates document organization, offers complete access control, and provides secure file sharing capabilities to stakeholders spread across geographies. Community managers, who rely on in-house platforms to distribute online courses, find it difficult to track and manage courses and programs. Further, you cannot always accurately measure the success or failure of a program, or provide personalized user experience. A professionally-designed integration enables you to easily build, distribute, manage, and administer your eLearning programs, and provide 24×7 access to users. One in every three customers turns to social media to seek advice or communicate with a business. Availability on social media is nowadays a parameter to evaluate your product or service’s performance. Build a strategy accordingly. Social media feed integration with your online community is the simplest way to aggregate all of your brand’s hashtags and social media posts into a single social media feed on your community. It also helps you improve your brand’s image, and community engagement substantially. eMarketer estimates global e-commerce retail sales to top an astounding $4 trillion by 2020, comprising almost 15% of projected retail spending. After integrating your Marketplace with the online community, your products can get remarkable exposure at the global level. It will help you bring all your partners, developers, marketers, and other stakeholders onto one common platform, create/modify solution packages in real-time, and adapt to the ever-changing marketing needs. Storing vast amounts of information has become relatively less expensive. But are people able to find the information they need quickly and efficiently? Enterprise search solutions help you integrate all your content sources and sites with a single search box. Once you integrate a Search Solution with your online community, your audience can easily access all help articles, FAQs, sites, and knowledge base which increases case deflection rate, improves self-service success, and reduces support cost. Organizations can reduce software cost up to 30% by implementing software license optimization. By integrating your product downloads and license management with your online community, your audience can easily access your product documentation and learning materials. It facilitates quick onboarding and rapid learning. It can also send automated email reminders to your customers when a license is about to expire and from the email, customers can, with a single click, go directly to your store and renew their license. There’s a $3 return on investment expected for every $1 invested in customer experience. That’s the reason most companies see it as the most exciting opportunity for future. 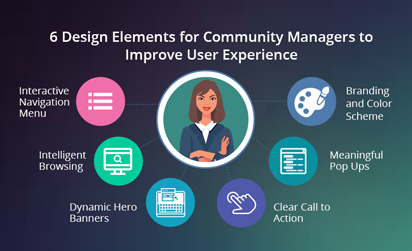 By integrating your customer community with your customer support platform, you are providing a single window to eliminate the communication void between your users and support teams. Thus, enabling a meaningful, personal, and productive relationship with customers. Customer support software integration helps answer your customers in real-time using a chat console. Your customers can raise a case directly from the community. This also provides you with the metrics to evaluate the health of your community. Advocates are 2-3 times more effective than non-advocates while persuading others to make purchases. A 12% increase in advocacy results in a 2 times increase in revenue growth rate. 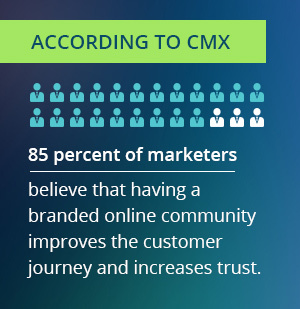 An online community is a common platform for your customers, partners, and prospects to interact and share experiences. By integrating an online advocacy program with your community, members can access reviews, recommendations, stories, and referrals from your customers and make educated decisions. It strengthens your sales pipeline, boosts community engagement, and drives remarkable business value. 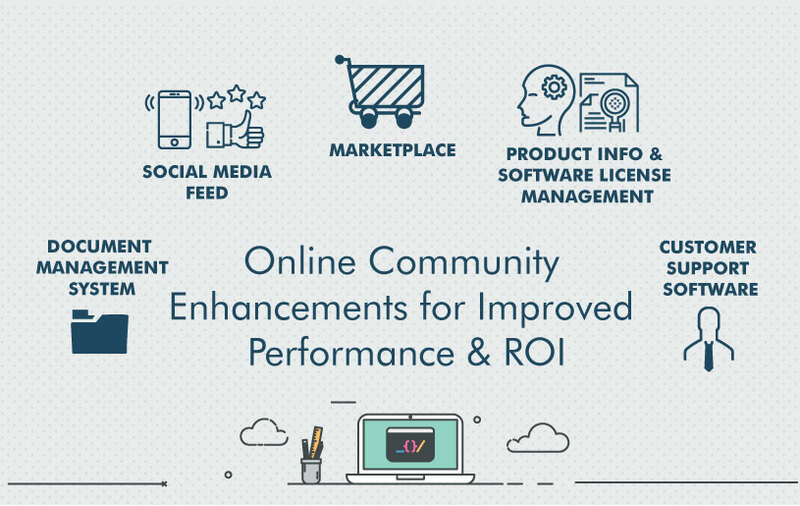 For detailed information on and learn how organizations across the globe are reaping benefits from these enhancements, download our eBook on 8 online community enhancements for improved ROI. 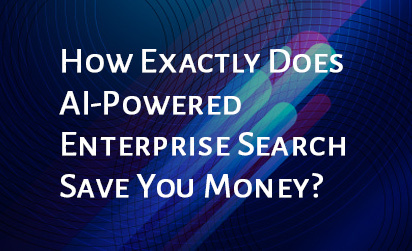 How Exactly Does AI-Powered Enterprise Search Save You Money?